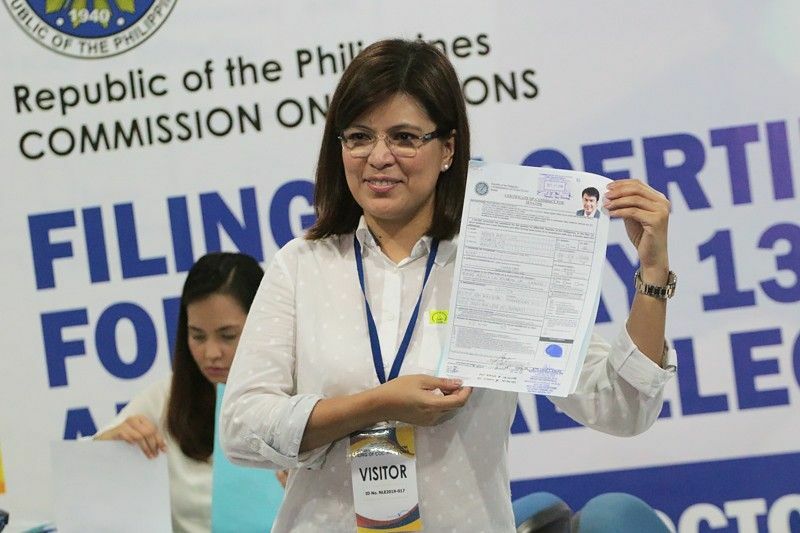 Bacoor Mayor Lani Mercado files the COC of husband Ramon "Bong" Revilla Jr. who is seeking a Senate return. MANILA, Philippines — Former Sen. Bong Revilla, who is currently detained at the Camp Crame over the pork barrel scam, is seeking to return to the Senate. His wife, Bacoor Mayor Lani Mercado, filed his certificate of candidacy on Wednesday. Mercado said the Revilla finally decided to run after getting his father's blessing. Revilla is accused of pocketing millions by funneling public funds to bogus non-governmental organizations linked to alleged pork barrel scam mastermind Janet Napoles.